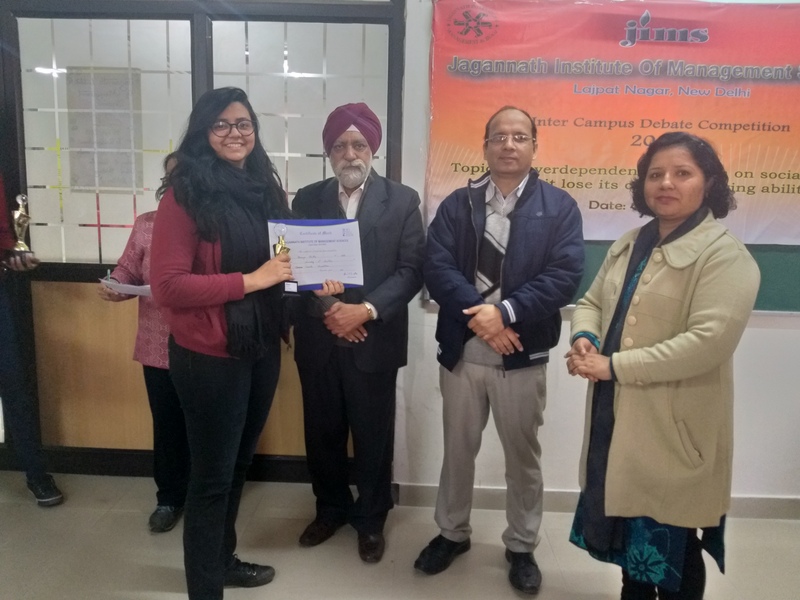 Ananya Shukla, BBA VI-E, was adjudged second in Inter Campus Debate Competition, held on 4th Feb 2019, at Lajpat Nagar campus, on the topic "Is Over dependence of Youth on Social Media making it lose its critical thinking abilities"
BBA/BCom students participated in Inter Collegiate Yoga (Men & Women)Competition 2018-19, which was scheduled on 14th January 2019 (Monday), at GGSIP University campus. They performed various Asanas and were awarded : Boys team - 3rd position & Sidhant Saklani - 8th position. An Inter-Campus Quiz Competition was held on Friday 07th September, 2018 in Jagannath International Management School , Kalkaj Auditorium. 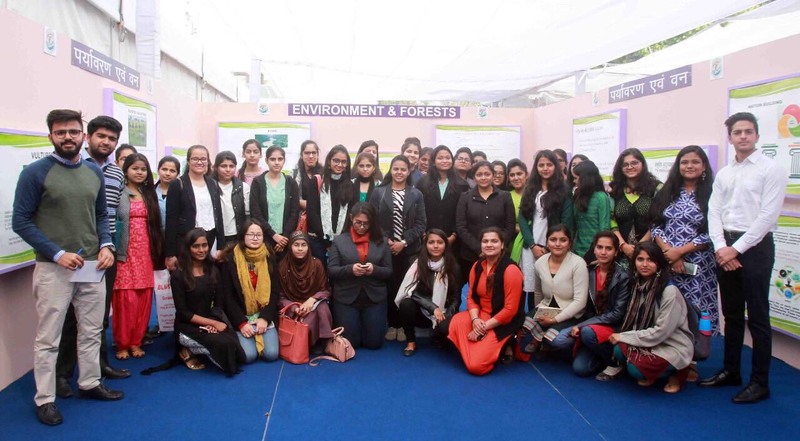 Teams from JIMS Greater Noida, Lajpat nagar, Vasant Kunj and Kalkaji also participated. The students were quizzed from the areas of business,sports, geography, history, current affairs etc. At total of 8 rounds were there . 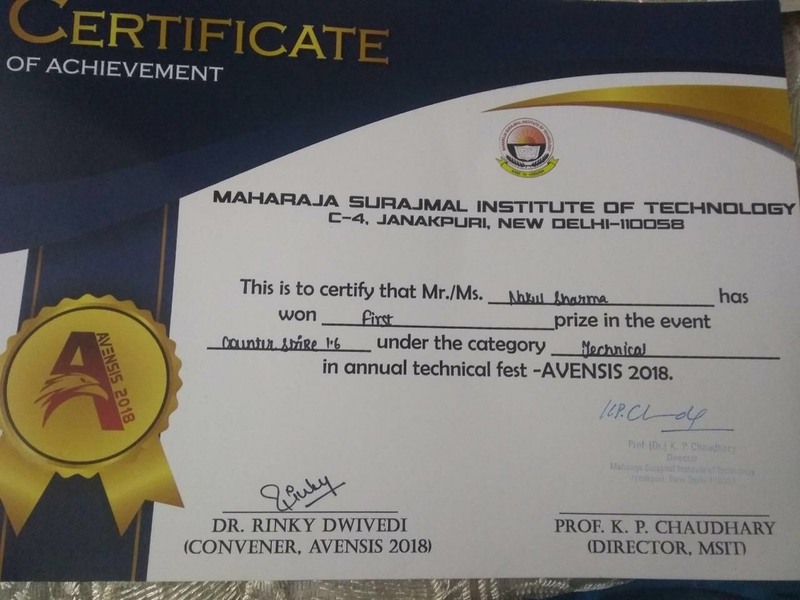 The team of BBA/B.Com (H) students namely Mayank Sharma (B Com (H)V Sem) and Jonathan Abraham (BBA V Sem) bagged the 1 st prize and were handed the winners trophy along with a certificate. 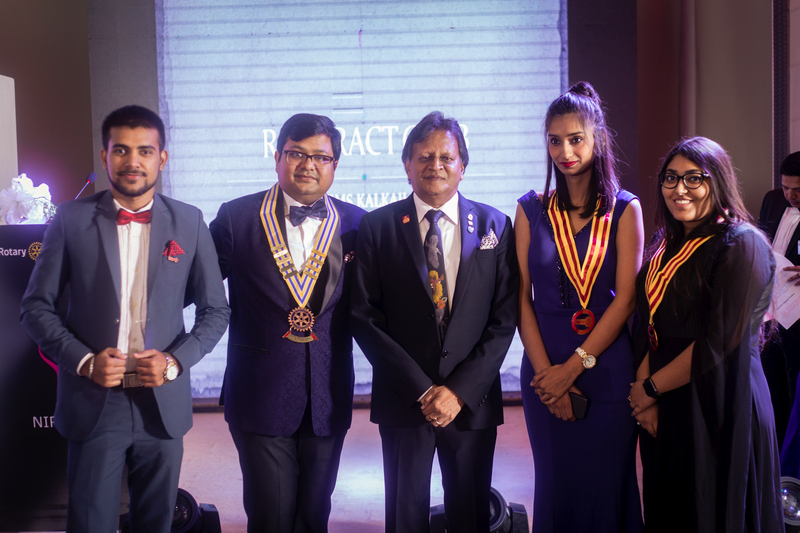 Rotary club of Delhi Nirvana, sponsoring Rotary club for Rotaract club of Jagannath International Management School, held it's formal installation ceremony on 4th August, 2018 to kickstart the Rotaract year 2018-19 with it's new team of office bearers lead by Rtn. Piyush Jain as the President. The ceremony was held in the fashion of a masquerade ball. 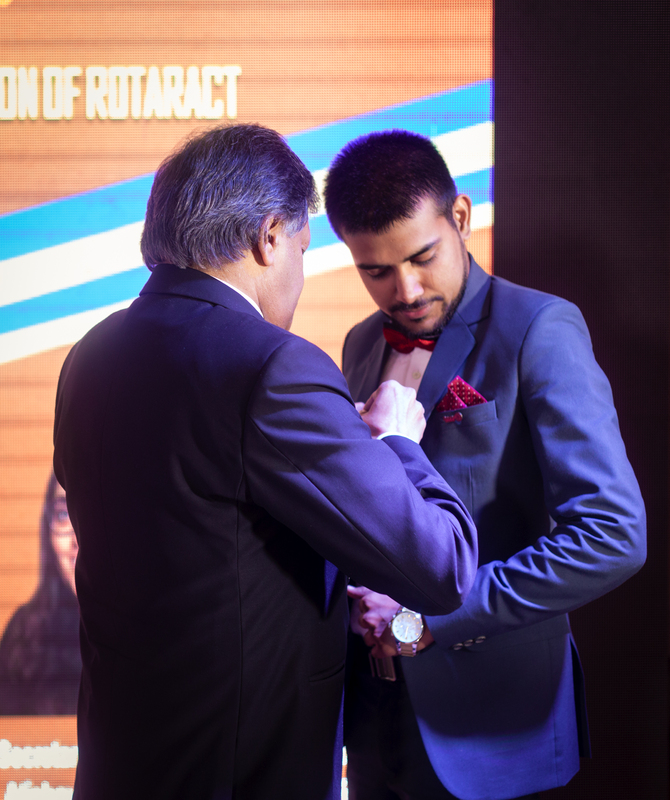 Rotaract club of Jagannath International Management School was also formally installed on the same day with it's team for 2018-19. Presidentship has been taken over by Tarushi from Ruchi Shrivastava, the incumbent who held the office for year 2017-18. Secretaryship has been awarded to Atishya Khanna as Aman Rashmi has been promoted to become the Vice President for 2018-19 after vacating the secretary's office which he held in the immediately preceding Rotaract year. 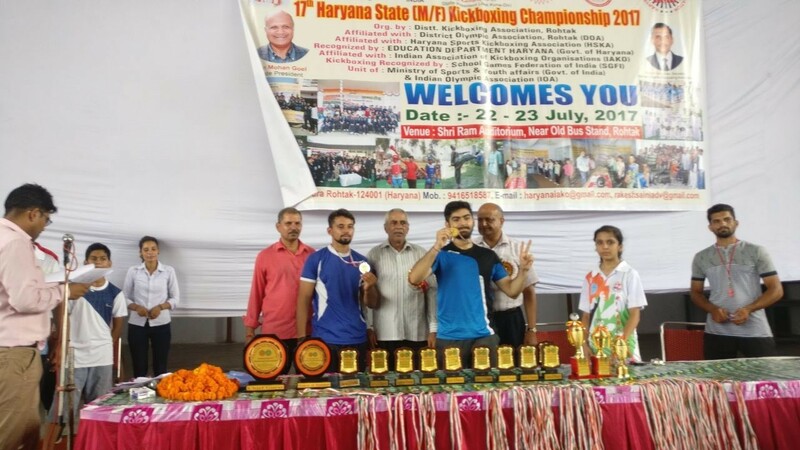 Nippun Dudeja of B Com V Semester participated in Haryana State Kick Boxing Championship on 23rd July 2017 organised by Haryana Sports Kickboxing Association and secured “Gold Position” in the category of weight group 69-71kg. 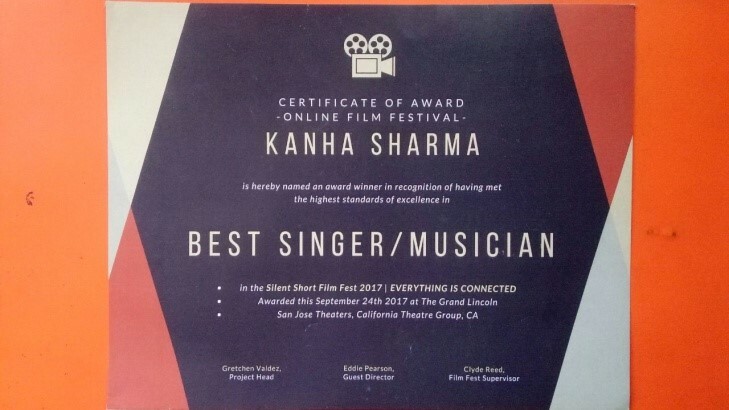 Kanha Sharma B Com was awarded “Best Singer Award” in Silent Short Film Fest,2017 at SAN JOSE THEATRES, California Theatre Group, CA. 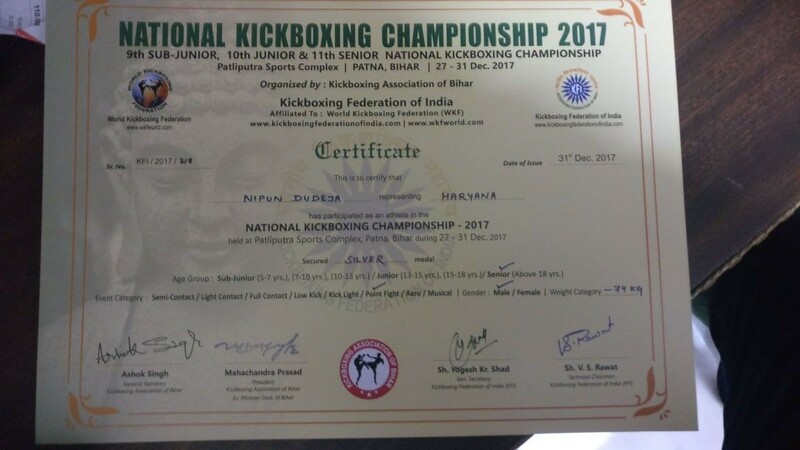 Nippun Dudeja of B Com V Semester participated in National Kick Boxing Championship organised by Kick Boxing Federation of India in December 2017 and won “Silver Medal”. 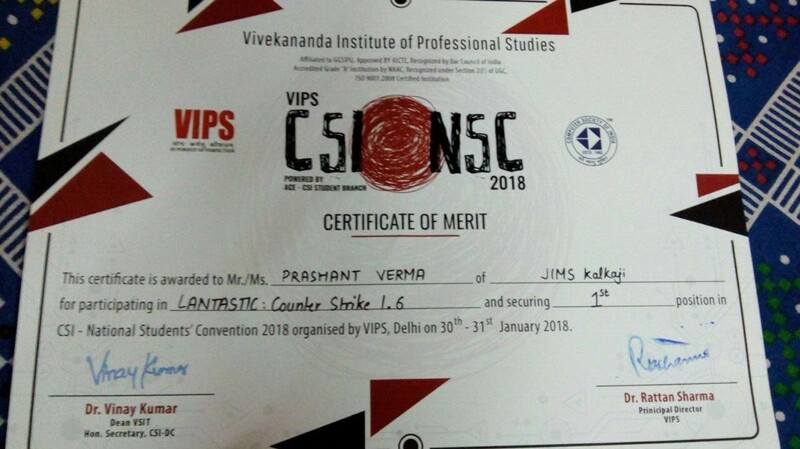 Shekhar George, Nakul Sharma & Prashant Verma participated in Annual Technical Fest of Vivekananda Institute of Professional Studies, Rohini and bagged the first position in the event ‘Counter Strike 1.6’. 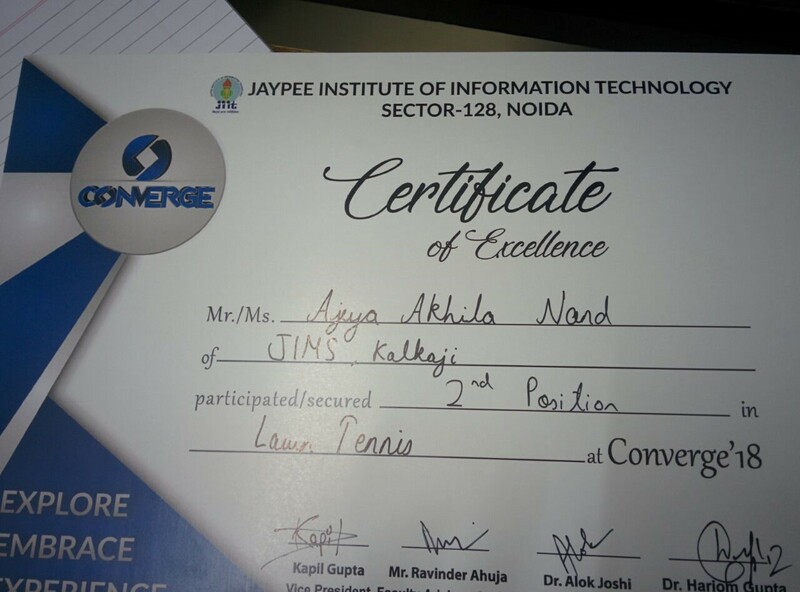 Ajeya Akhila Nand of B Com II Morning won 2nd prize in Lawn Tennis Tournament at Jaypee Institute of Information technology. 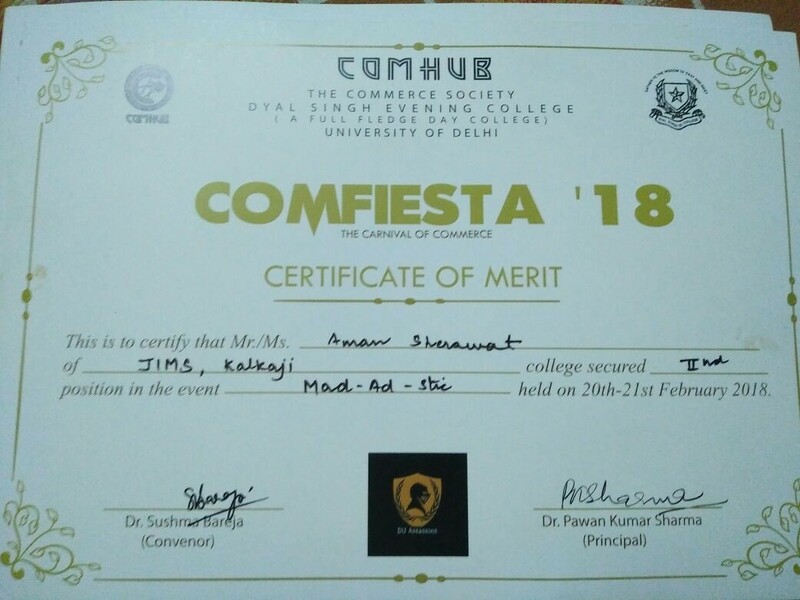 Akash Ghosh and Aman Sherawat of BBA VI Semester participated in Annual Fest – Comfiesta 2018 of Dayal Singh College , New Delhi. Aman bagged 2nd prize Mad-Ad Stic Competition, while Akash got 3rd prize in Mooh Bola Competition held on the occasion. Pulkit Sharma and Ankur Chawla of BBA won first prize in the quiz competition held in Deen Dayal College. 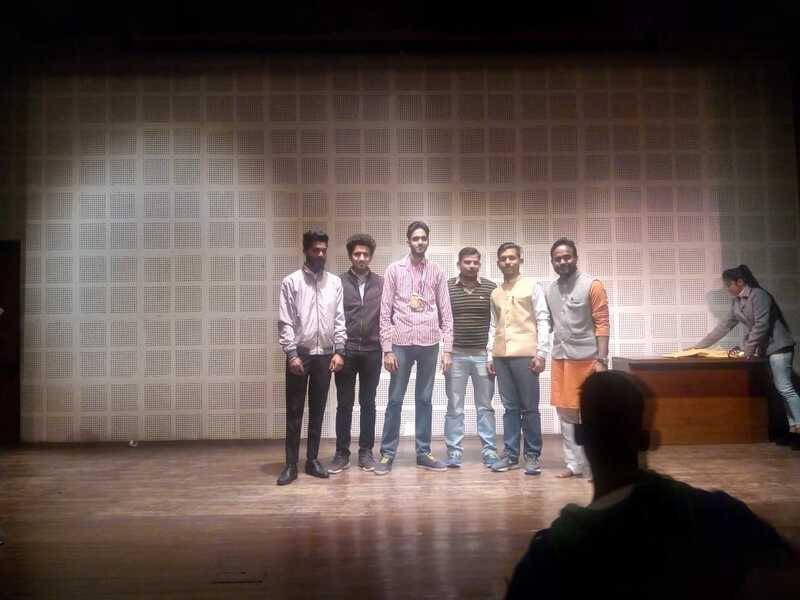 Himashi Mangla of B Com IV M secured 2nd position in the Inquest Paper Presentation competition organised as a part of the 6th edition of Colloquium – The Debating & Literary Festival of NSIT, Dwarka. 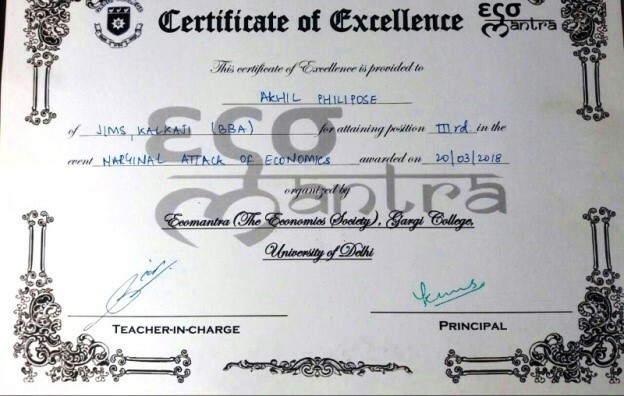 Besides this, she presented a paper entitled “Industrialisation and Make In India Initiative” organised by Department of Applied Economics, Faculty of Commerce, University of Lucknow. 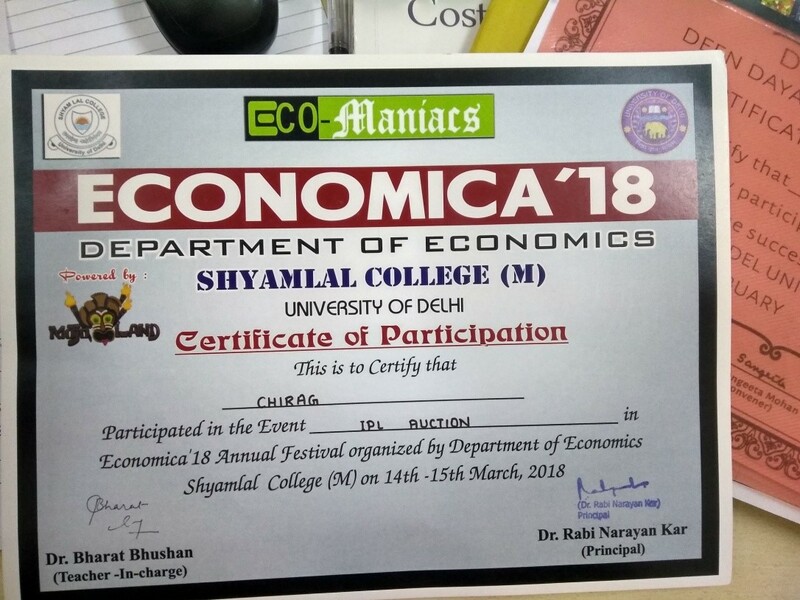 Akhil Philipose of BBA II E won 3rd position in Eco Mantra Festival of Gargi College, New Delhi , event being “Marginal Attack of Economics” held on 20.03.2018. Chirag Mehta of B Com II E participated and won a cash prize of Rs 2000/- in the IPL auction held at Shyam Lal College. 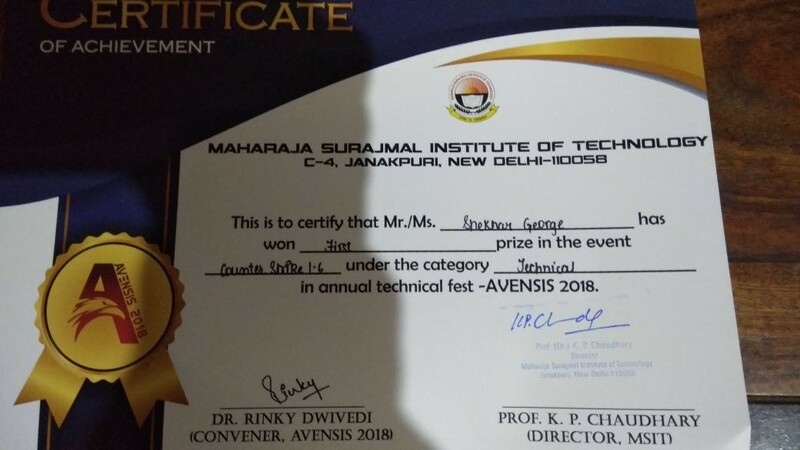 Shekhar George and Nakul Sharma participated in AVENSIS’18-Annual Technical Fest of Maharaja Surajmal Institute of Technology and bagged the first position in the event ‘Counter Strike 1.6’. 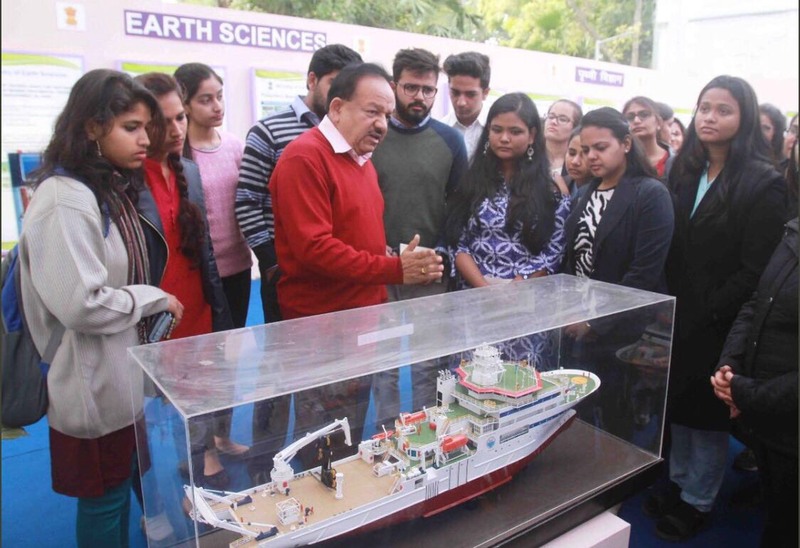 On 31st January 2018, Honorable Minister of Science and Technology Department of India, Dr. Harsh Vardhan organized an exhibition on 500 good deeds which can be undertaken to save the environment. 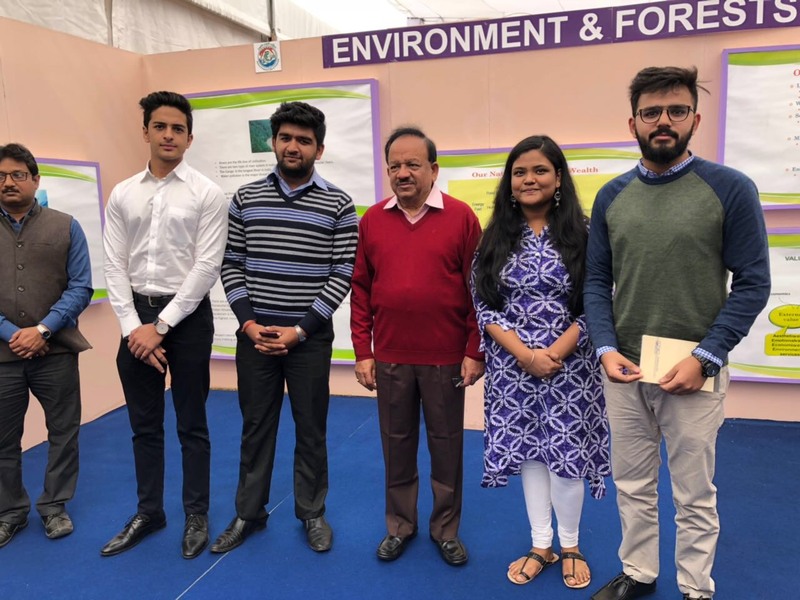 Our BBA/Bcom students, Himanshi Mangla, Kashif Isa, Kartik Dutt Sharma and Kunal Wadhwa became “Green Ambassadors” and took up the responsibility of the country’s sustainable development in their hands. 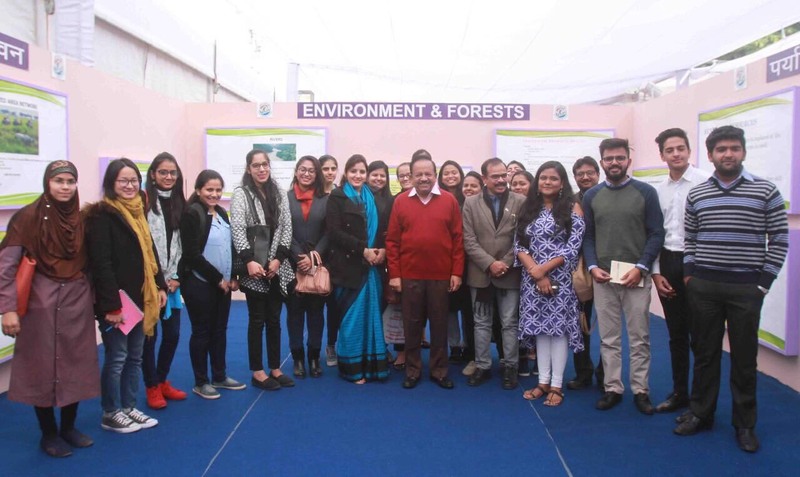 Later on 2nd February, 2018, World Wetlands Day was celebrated at the residence of Dr. Harsh Vardhan. He inaugurated the event and addressed the students. Our BBA/BCom students, attended the event and received certificates for the same. 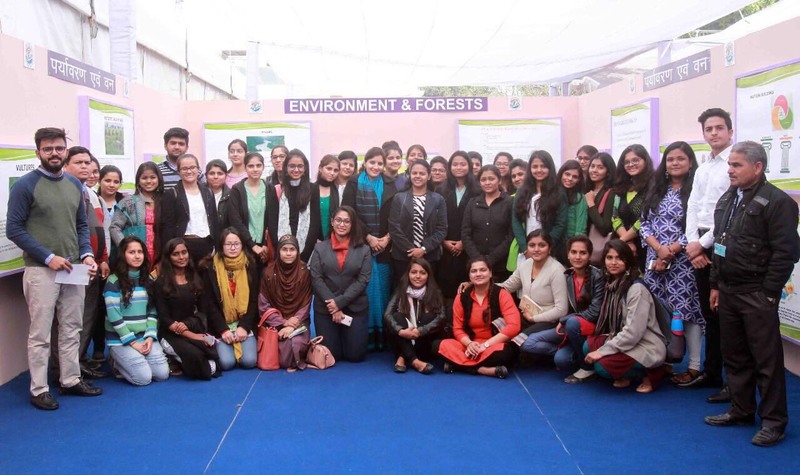 Later the students explored the Indira Paryawaran Bhawan also known as the Green Building. New Delhi Institute of Management (NDIM), New Delhi, organised a two day Inter College Sports Event, “SPARDHA-2017” from 19th Jan to 20st Jan, 2017 at Jasola Sports complex and the Institute campus. The students participated in the various events with great zeal, passion and enthusiasm.Various events viz a viz. Cricket, Pool,Volleyball, Kho-Kho, Tug of War, Badminton, Table Tennis, Chess, Carom, Basketball and Foot ball were a part of this mega event which provided an ideal platform to the students to compete with their peers and showcase their talent. In this mega event Basketball Girls team won 2nd position. They won trophy, cash award and medals. All the participant students got the participation certificate too. 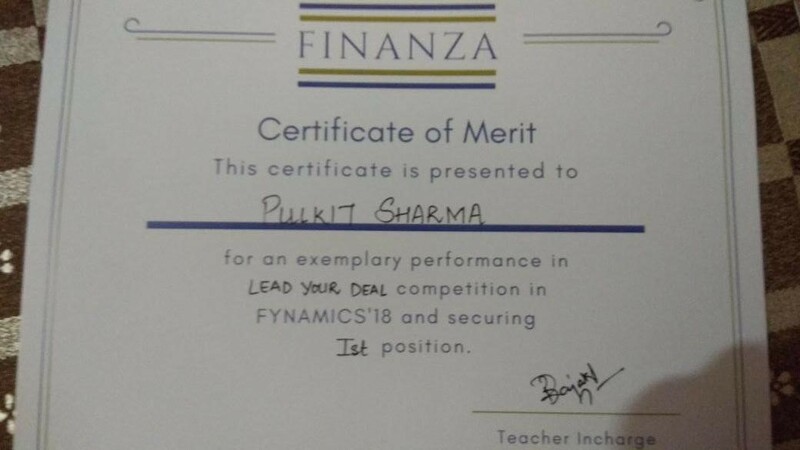 Pranav Dua from B.Com. IV (E) won the 1st prize in Mono-Acting and Devesh from Bcom. (H) IV (E) won the 2nd Prize in Cartooning at "Expressions Fiesta" held at JIMS Lajpat Nagar on 4th January, 2017. Inter-Campus Quiz Competition was held on 14th September, 2016 at JIMS, Kalkaji Auditorium. Areeba Mallick andRishabh Makhija from BBA IIIrd Sem and Nipun from Bcom(H) IIIrd Sem participated in the competition. 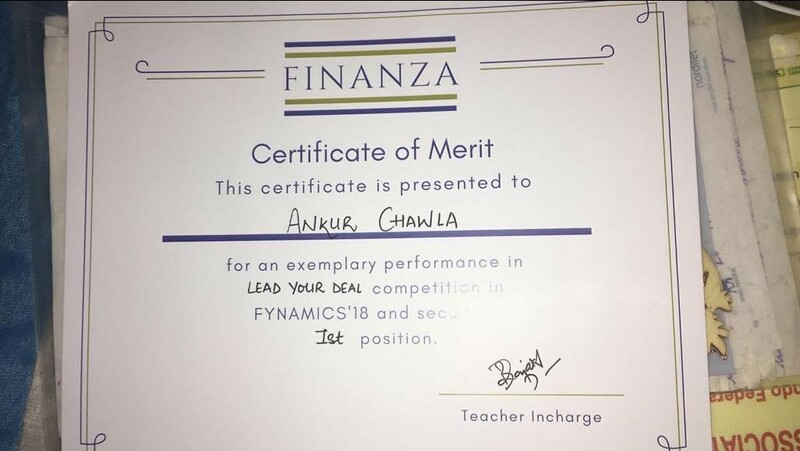 JIMS, Kalkaji grabbed the 2nd position. "A case study competition was oragnised in JIMS, Vasant Kunj on 5th April 2016. It was an Inter- campus Case Study Competition. The topic was given impromptu i.e. "Maggie in Soup". There were 4 teams of 2 members each. Total time of one hour was given to analyze the case and then to make the presentation. Jury was comprised of experts from related faculties. 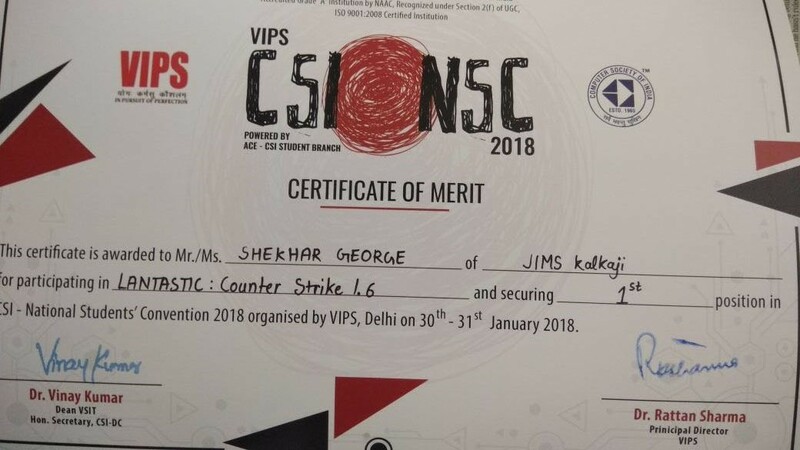 JIMS, Kalkaji, has been awarded with the First prize. 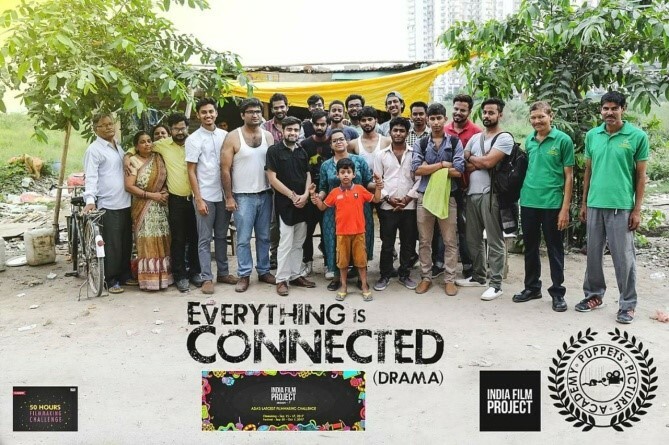 Akansha Kansal (PGDM) and Divyesh Pandey (BBA, VIth Sem) were the team members. 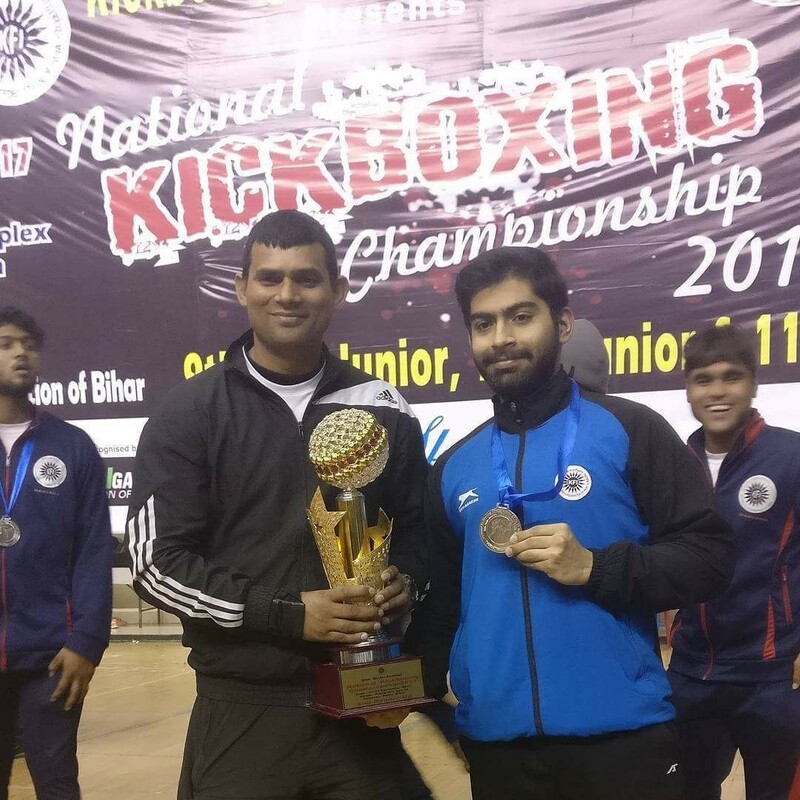 JIMS, Vasant Kunj bagged the second prize. Runner ups were given the participation certificate." 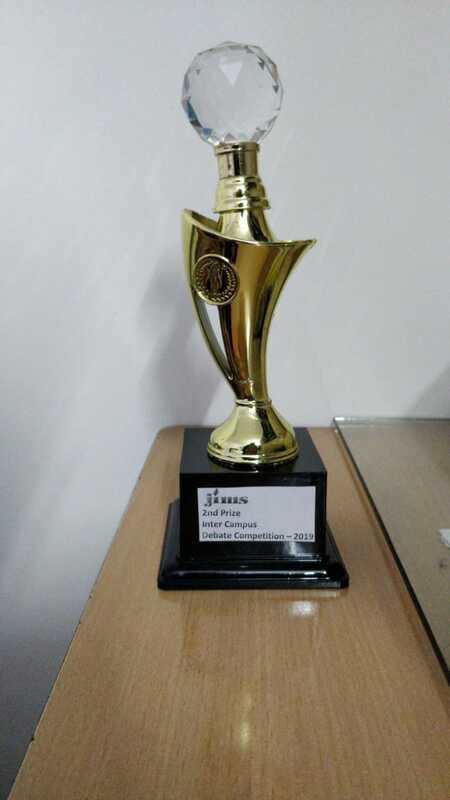 Team of 3 students Areeba , Punit and Aseem Sharma(PGDM) of JIMS Kalkaji stood second in the Inter-Campus Quiz Competition 2015 held at JIMS-Kalkaji on 9th September, 2015. Niharika Wadhawan, student of BBA VI sem morning, has stood "First" in the University in her 5th Sem exams held in December 2014. Indu Bisht, student of BBA VI sem evening, has stood "Seventh" in the University in her 5th Sem exams held in December 2014. Sagar Tomar of BBA VI A(E) won in debate competition in English in Anugoonj 2015 Prelims. Bezalel MamaChan of participated in Debate (English) in Anugoonj 2015 Prelims in Feb 2015. 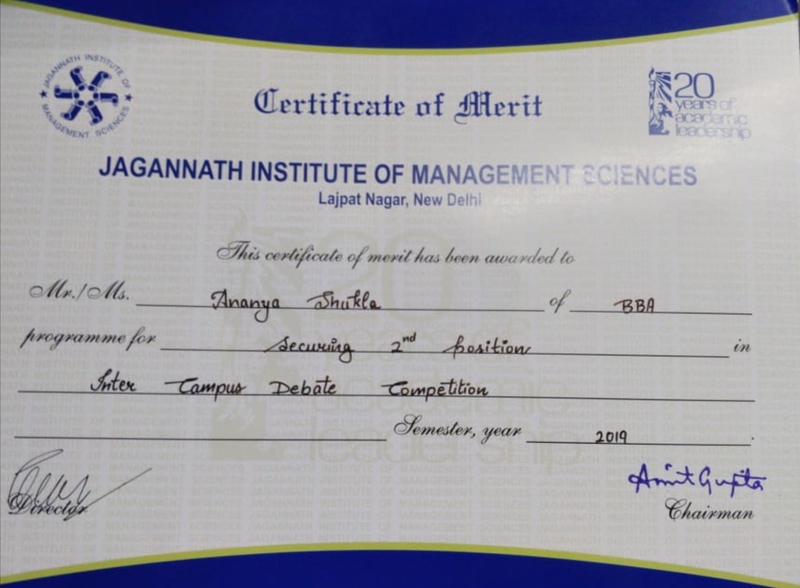 BBA fisrt year and second year students won the second prize in Battle of bands in Anugoonj 2015 finals at University level. Mohammad Zaman stood third in Painting competition. He got a cash prize of Rs. 5,000/- along with a certificate. Pabanjit Kalita (PGDM), Prateek Maheshwari(BBA) and Sahil Verma(PGDM) of JIMS Kalkaji stood second in the Inter-Campus Quiz Competition 2014 held at JIMS-Kalkaji on 10th September, 2014. 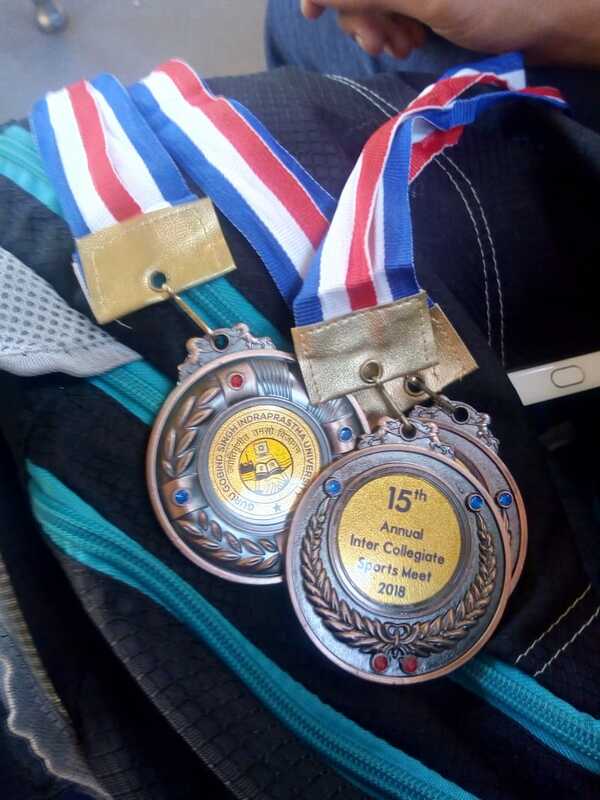 Abhishek Goel of BBA III year won the 1st runner up position i.e Silver Medal in GGSIP University level Table Tennis Singles Tournament held at GGSIP University Campus. Sidharth Malhotra & Kunal Saraf (2011-14) were Runner up at the General Knowledge Quiz, held at Jamia Millia Islamia. Kunal Saraf won 2nd prize in ‘Virtual Stock’ competition, held at Jamia Millia Islamiya. Akshay Kumar ,Pragati Bhardwaj won first prize at Acharya Narendra Dev College in "Corpomaze" Business quiz with a cash award of Rs 4000. Supreena Aggarwal, won Ist prize in Dance competition held at ANDC. Kunal Nagpal won the Trophy for attaining 2nd Position at the Anugoonj-2013 for the English Poetry Recitation Competition, held at GGSIPU, Dwarka. Prashant Rai & Anupam Sharma won 3rd Prize in Ramanujan College fest in LAN gaming. Md Zaman has won 3rd Prize in Painting competition from participating 43 colleges, along with a cash prize of Rs 3000 and a certificate in an Inter college painting & declamation competition, sponsored by TFI- GGSIPU, held in the GGSIPU campus on 28th Feb 2014. Diksha Kapoor won Silver Medal in Rifle Shooting competition at Sirifort Auditorium. Hatanshu Sharma completed International internship through AIESEC to Philippines for working on a project and having received certification for the same. Vriti Arora got selected in KPMG, after rigorous technical tests and interview rounds. She gave tough competition to 70 other aspiring candidates.